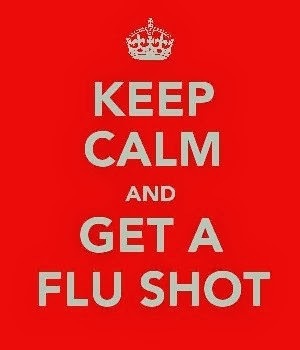 vignette design: Keep Calm And Get A Flu Shot! You know, the kind where your whole body aches--even your skin and hair, with a very high fever? The CDC urges everyone over 6 months old to get a flu shot, and for the last two weeks, I've been putting it off, thinking it's still pretty early. Meanwhile, while the dishes and laundry are piling up, I'm catching up on TV shows like "Breaking Bad" and "House of Cards." So do yourself and family a favor. Get a flu shot ASAP! Thanks for the reminder. On my list to get done aoon. Sorry the "bug" got you - Not fun for sure. Feel better soon. That is suppose to be "soon" NOT "aoon". Geesh! Hope that you feel better soon, Delores! I've been sick with something gnarly for the last two and a half-weeks! Sore throat, coughing, runny nose, headache, exhausted - but no aches or fever! hope you feel better soon. the last flu shot i got made me sick as a dog for almost 3 months...although i think i had a sinus infection when i got it so that might have had something to do with it....but i haven't had a flu shot since. I did get my flu shot last month...the flu season must be early this year, too bad it got you! Feel better SOON!! Sorry you got sick. But don't feel bad - the flu shot does not protect you 100%! And there are risks with all vaccines. Ahhh... the flu! 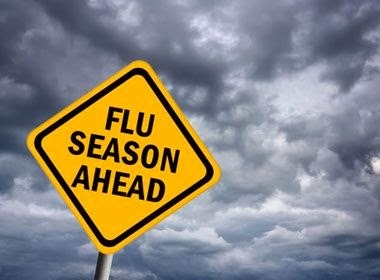 Not a fun thing to have at all, but you are better off actually having the flu than putting the vaccine in your body. Lots of research out there. No flu shots for us, but plenty of Vitamin D3, among other things. Hope you feel better soon! I hope you kick this flu bug and are feeling good again. I hope you and everyone else suffering feels better very soon! Think healthy thoughts and watch funny movies, laughter is the best medicine. Though it's moot at this point, there's no guarantee a flu shot would have prevented your current illness; they're just guessing at the flu strain every year. I'm so sorry to hear you're sick, but don't blame yourself for not getting the flu shot. 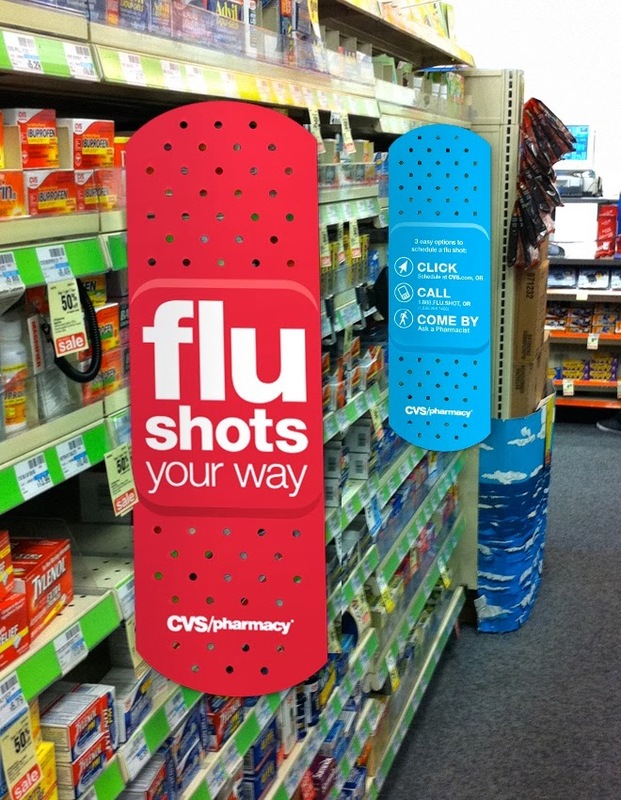 It won't necessarily protect you from getting the flu. Depends on the strain. Personally, I don't believe in the flu vaccine not only because of this fact, but also due to the toxic stuff they put in them, but I know this is a hot topic and is "each to their own". ;-)I hope you feel better soon!